More pictures from the night festivities. 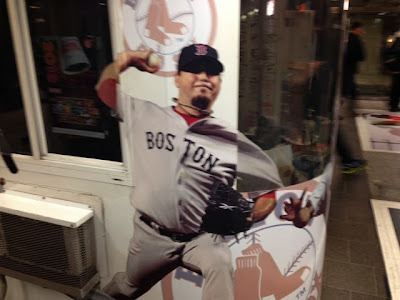 Josh Beckett on a kiosk at the Kenmore T stop. 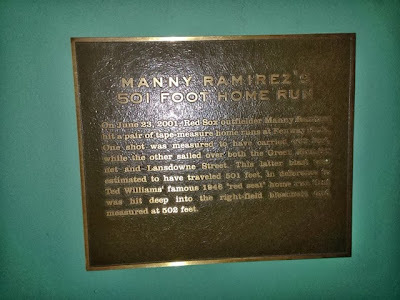 Think they should change this as it has been more than a year since he was traded to the Dodgers? 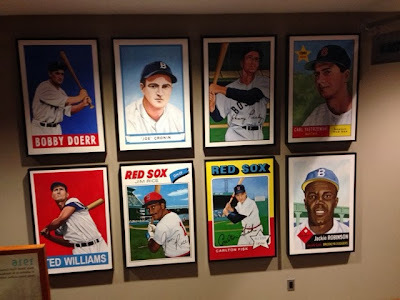 Cool pictures of players in huge baseball card format. 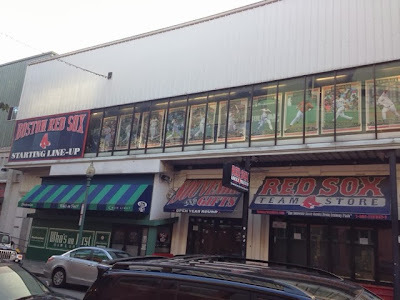 Where the party was located. 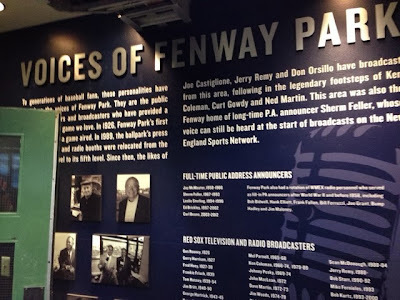 Leading up to the press box. From the press box. Apparently the gentleman three people down from me taking the picture is in the same seat as Brad Pitt at the end of the movie Moneyball. 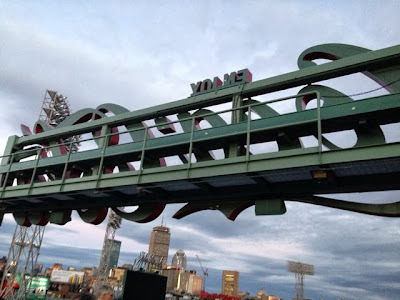 Behind the Coca Cola sign. 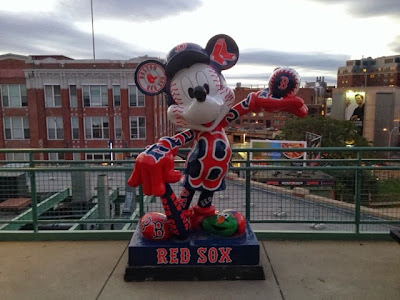 Mickey is a fan of the Sox. 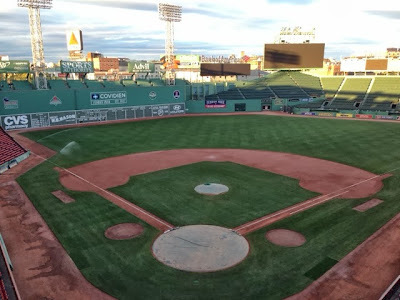 Panorama from the monster seats. 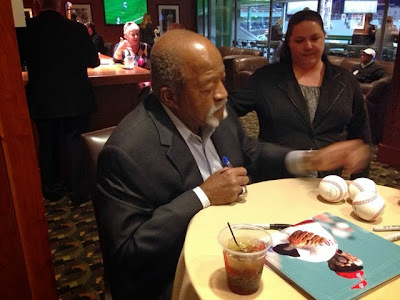 Luis Tiant was signing autographs. 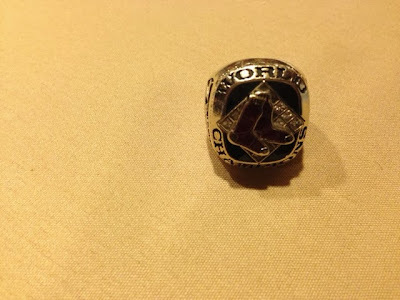 And Mr. Tiant was totally cool and let me take a picture of his gigantic World Champion ring. 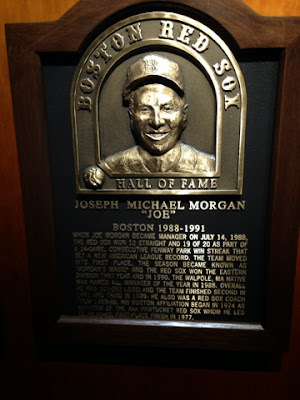 Red Sox Hall of Fame. Lots of Red Sox players. 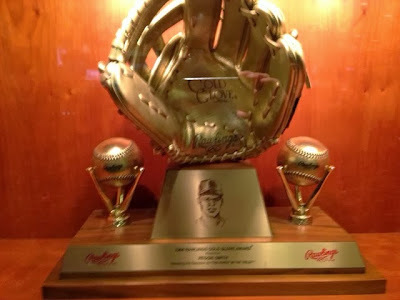 Gold glove awards were on display. If you won one would you display it at home or at the stadium? 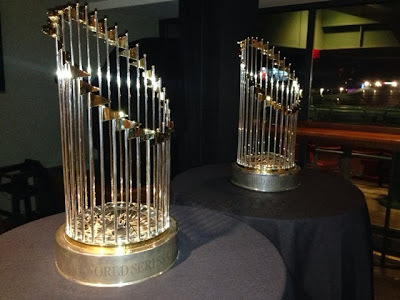 World Series trophies from 2004 and 2007. 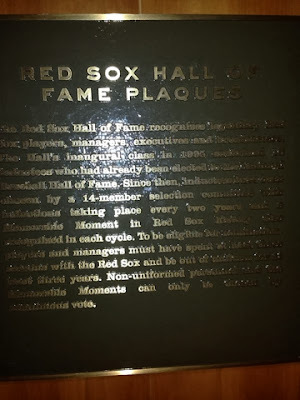 I have never been this close to a WS trophy and it was neat to see that a baseball forms the base of the trophy. 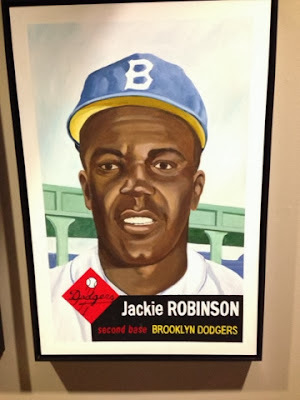 Neat baseball card paintings. 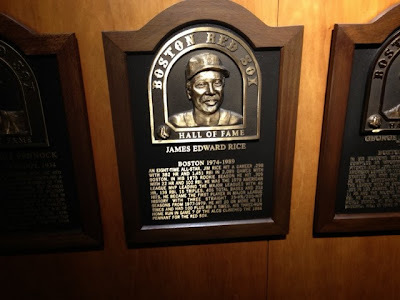 I think I have that Jim Rice card somewhere. Of course, this one was the best one. 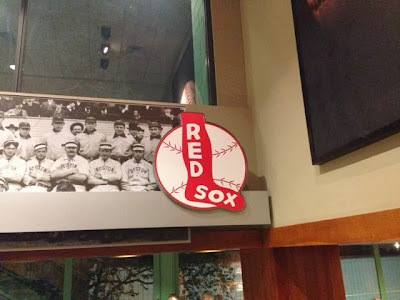 Old school Red Sox logo. One last look at the stadium on the way out. Panorama shot from the press box. 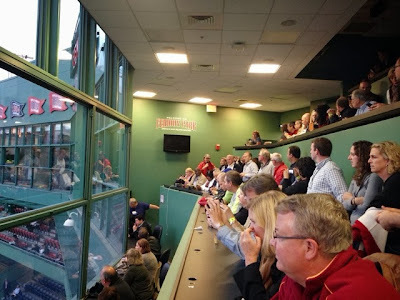 Panorama shot from the stadium club. 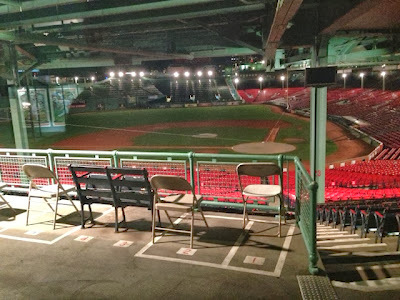 Panorama shot of the stadium at night. 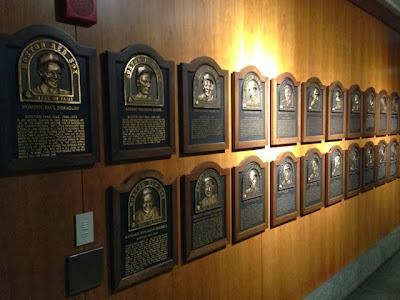 Those giant cards represent the day's lineup and are changed each day accordingly. Tre cool. Very cool pictures. 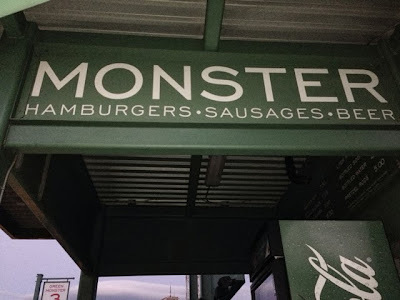 I want a Monster Burger and Monster Beer. 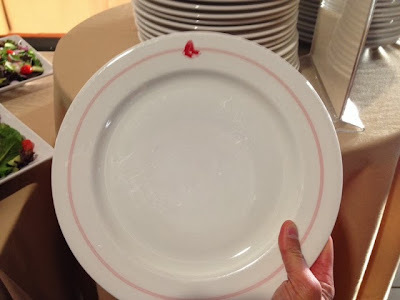 Wow, this is cool, thanks for posting! 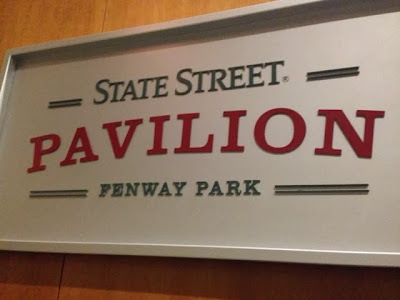 We need stringers at every park! 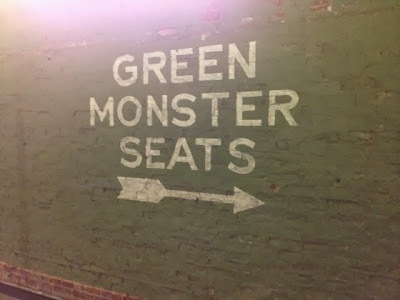 Anything MONSTER is cool. Thanks guys. Not as good as Scott's photos, but for an iPhone 5 not too bad. 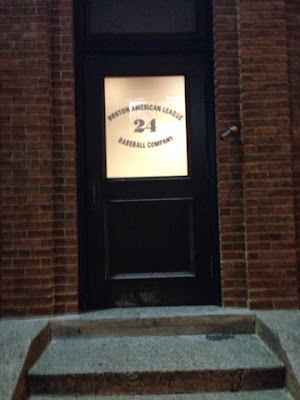 Is that a litter box outside the Boston American League baseball company door? 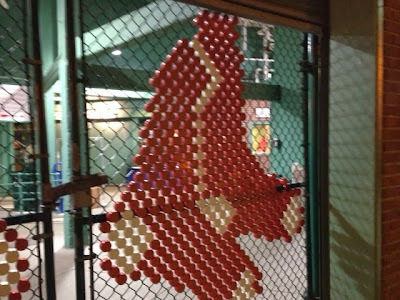 I hate the Red Sawks but that was good stuff,AC.